The Legend of Zelda, originally released as The Hyrule Fantasy: Legend of Zelda (THE HYRULE FANTASY ゼルダの伝説 The Hyrule Fantasy: Zeruda no Densetsu) in Japan, is a video game developed and published by Nintendo, and designed by Shigeru Miyamoto and Takashi Tezuka. Set in the fantasy land of Hyrule, the plot centers on a boy named Link, the playable protagonist, who aims to collect the eight fragments of the Triforce of Wisdom in order to rescue Princess Zelda from the antagonist, Ganon. 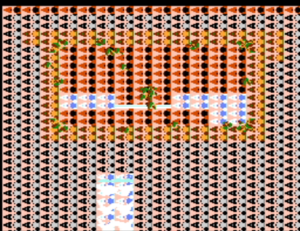 During the course of the game, the player sees Link from a top-down perspective and must navigate him through the overworld and several dungeons, defeating enemies and solving puzzles on the way. 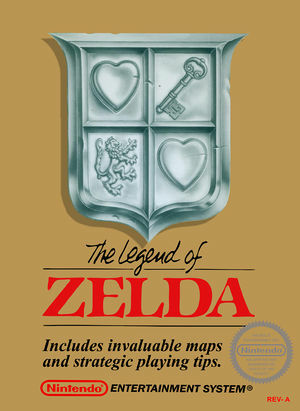 The inaugural game of the Legend of Zelda series, it was first released in Japan as a launch title for the Family Computer Disk System peripheral. More than a year later, North America and Europe received releases on the Nintendo Entertainment System in cartridge form, making the game the first home console title to include an internal battery for saving data. A Japanese cartridge version for the Family Computer was released in 1994, and was followed by reissued ports for the Nintendo GameCube, Game Boy Advance and the Virtual Console. The graph below charts the compatibility with The Legend of Zelda since Dolphin's 2.0 release, listing revisions only where a compatibility change occurred. This page was last edited on 21 February 2018, at 05:45.